Hello and welcome to the Cannabis Conundrum! We are the Fawkes's your hosts on this crazy journey. We touch on only things cannabis related. We have all had a cannabis conundrum. We want to hear yours! We get Serious about the new CBD craze hitting the world. it's deeper than you think tonight. we give you what you NEED to know. check out @realmrstinky on Instagram! and make sure you look up @merric370 make sure you give Patrick love! Dude just came home from the hospital! there are quite a few 2020 canadates who want you to know they favor cannabis. find out who and please follow them! This is the NBA edition. packed full of another way to think, about Cannabis. When Cannabis Conundrum plays bingo, we go hard. Check it out! 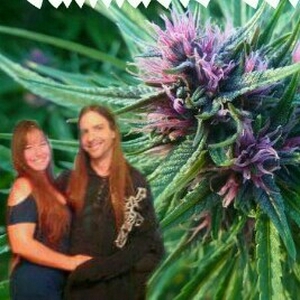 http://norml.org/action-center/item/tell-the-fda-to-recommend-international-descheduling-of-cannabis big up's to @daviphresh for the tunes! check dude out! homie is 🔥. Cannabis is NOT a cause of Impairment, but the cure for it. listen in as we begin our journey down the rabbit hole. this is journey through time as we recall past insanity and look forward to a GREEN future! did Fawkesylady just bust a flow?!!! @a2zpurple @belldoor_dll @theerrlcup @lit_sundays If you're not on Instagram you should fix that. we love y'all! we're back!! Ep.28 - Cannabis and Diabetes (w/ a special Guest)!! Ep.27 The California Conundrum Remixed. there is a state where you can buy something in the store and be arrested for having on the way home with it. interesting? press play. 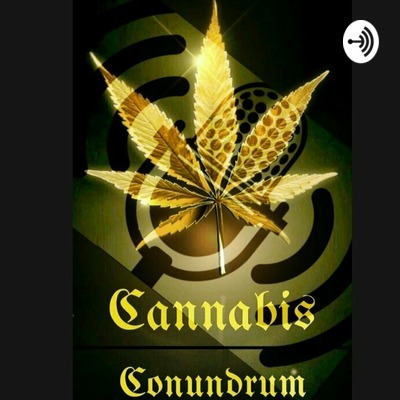 Ep.25 - "The Drug Talk"
Cannabis Conundrum hit 25 episodes! and we deliver tonight with "The Talk"
Tonight we bring you some of the more important cannabis busts of the the prohibition era. These people and their run in with police changed the game to create today's cannabis possibilities. You just gotta listen today. the world's Cannabis Industries are blowing up! with ever evolving weed laws in the country.... everything is shaking up. off and on the field, the court, the ice. even in your local gym there is a Cannabis Revolution happening. check it out. is there puppeteers pulling strings on everything? Cannabis Conundrum is here. also be careful who you give your business to! That's right friend's we are back with weed 102. Do I have to say more? Okay.... it's also star studied. Enjoy! Youtube has lost its mind folks. time to air some dirty laundry. We take you on a trip. Through deserts life. Plain and simple. we got to sit down with Patrick! from We Live on a Planet! It's off the cuff and organic and it was a lot of fun! Enjoy! Join us as we navigate the day and discover Wilson's world and maybe get a lil too high. The New Jersey Conundrum 1st edition. The usual awesome stories, Plus check out our friends! We have several podcasters we work with. Ep.8 The online "Buy" Conundrum. before you try to buy weed online.... check this out!!!! This episode is for people new to cannabis, or maybe just new to the dispensary. A beginner's guide to consuming Cannabis. Ep.2 C.C is all about your stories! Ep.6 back over the wall with Wilson. Over the wall with Wilson! Tonight we get a lil crazy and WAY off topic with Wilson. We all get involved and may or may not be intoxicated during the taping of this episode. tomorrow we will continue with stories you love. But tonight with Wilson, expect anything! the struggling weed economy in a newly legal state!!!! Have you ever bought medicine on social Media? Ep.4 We're Back & better than ever! Cannabis Conundrum getting deep. hard hitting reporting.... and.... drones are fun when you're high! Ep.3. The Conundrum is here! tell Me yours I'll tell you mine . You get to know us as we get to know Wilson. Our neighbor over the wall.